#1 They are to be informed beforehand: the news of divorce is such a bad one that it wounds the feeling especially when dropped like a bombshell. Some kids find it hard to forgive their parents for not informing them right on time. Hence, it is important for two couples seeking divorce to bring their kids in by giving them updates relating to the situation. When divulging a disheartening information like that to kids it is important to locate the best time for it. Parents understand their kids more than any other set of people in the world. And for that, it is not difficult for them to determine when is right it. #2 They are to be confronted with facts: every secret is open in a family. It will only take time before every member of the family gets their hands on it. That is why it is good to come clean and hide no secret about the situation from children. It is important to let them know that mom and dad won’t be together any more and that will hurt. Though it ought not to be presented before them in a harsh manner. Letting them know that things will be fine isn’t such a bad idea. 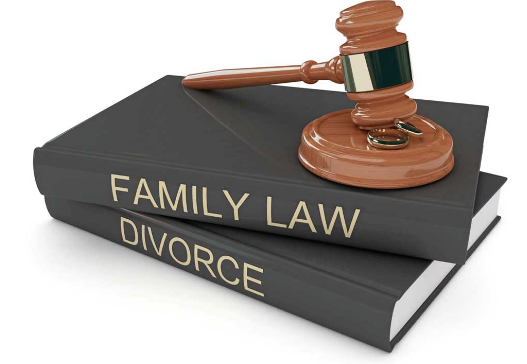 Alternative means of resolving marital conflicts such collaborative divorce and mediation are to be considered until and unless litigation is not an option. Alternative resolution would help to resolve differences while dissolving a marriage. A media or family lawyer would help the conflicting couples to get along peacefully to bury the hatchet and come up with good ideas of how they want their post-marital affairs to be like. Child support and custody will be deliberated. It is conducted based on the interests of the family. Compared to litigation, it is less costly. The parties sign a legal agreement of participation to which they are bonded when the process is complete. In the event of litigation- that is, if mediation doesn’t work, “If you are not letting go I’m not letting” wouldn’t make any sense. The longer a divorce case, the lengthier and more resource consuming the litigation process. Dragging a hard bargain would make things worse and extend the litigation period. That is also sort of energy draining. But if one can learn to swallow pride, let go and hold on to whatever they can, the litigation would go smoothly and time, money and energy will be saved. How John Frangie MD Can Improve Your Vision With Care?